A celebration of the late Keith Emerson, Greg Lake and the instrumental rock classics of ELP. Carl Palmer, among the most renowned drummers in rock history and a founding member of both ELP and ASIA, continues his extensive 2017 World Tour, ‘EMERSON LAKE & PALMER LIVES ON!’, a musical celebration of his late band mates Keith Emerson and Greg Lake and their group, Emerson, Lake & Palmer. Carl Palmer will present bold, new arrangements of the best-loved instrumental music of ELP, and other composers. A multi-media experience combining music and video projection, the show promises to be among the most musically compelling tours of the year. 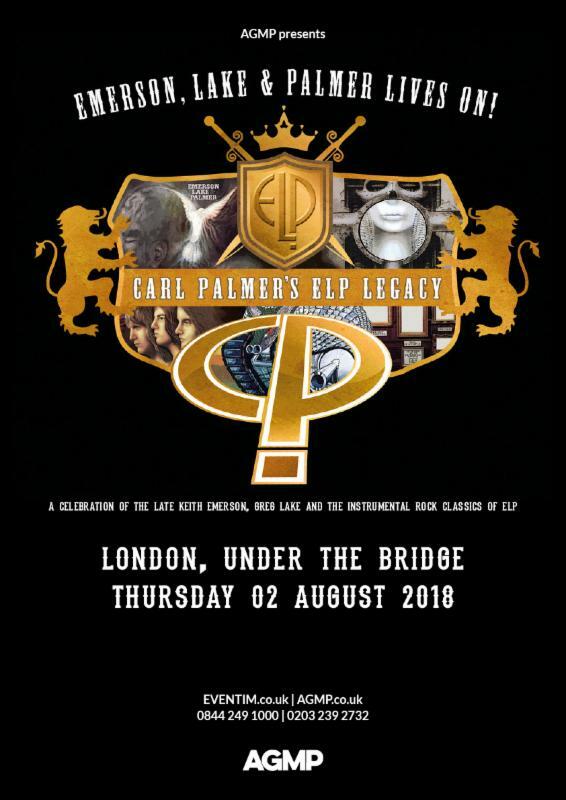 Carl Palmer ELP Legacy is a red-hot power trio that features Palmer on drums and percussion; guitarist Paul Bielatowicz and bassist Simon Fitzpatrick. After all – it’s the show that never ends right?